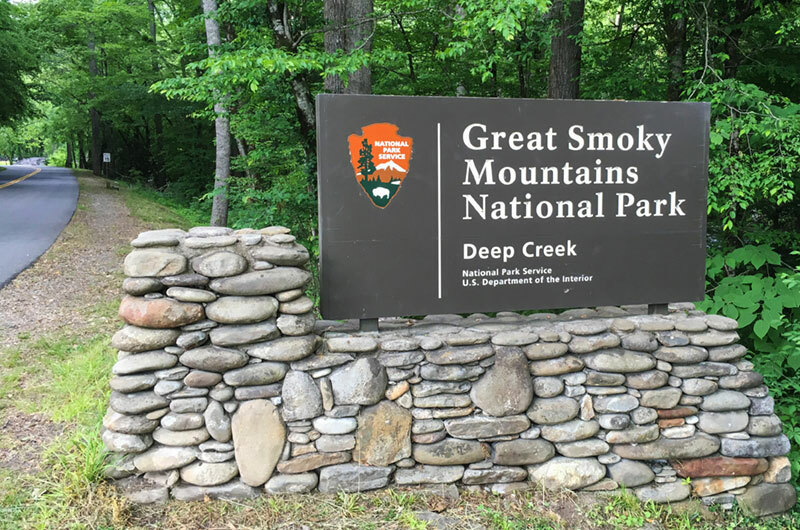 On September 25, 1981, 58-year-old Thelma Pauline Melton (Polly) headed to the Deep Creek Trail in the Smoky Mountains with her husband Bob and two friends. She loved the mountains and spent as much time as she could in the Smokies. 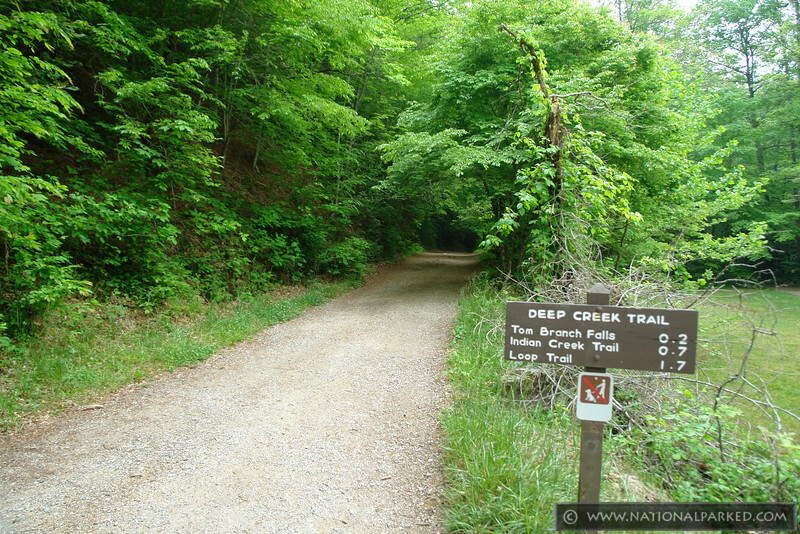 She loved hiking the Deep Creek Trail and had been hiking it for nearly 20 years. She was extremely familiar with this particular area of the park. That being said, as they arrived at the park Bob parked their Airstream trailer and stayed inside while his Polly and her two friends readied themselves for a leisurely hike (Bob was 20 years older than Polly and in bad health, he wasn’t able to really join in on the hikes). The trail they were walking is listed as ‘easy’ so there weren’t any challenges to face in the way of difficult terrain. As the hike commenced, Polly suddenly picked up her pace and walked ahead of her friends (around 4:00 pm) quickly leaving them behind. They saw her walk over a small hill and go out of sight, and they assumed they would see her back at the trailer. At around 4:30 pm they made it back to the trailer. Bob was inside but Polly was nowhere where to be found and Bob hadn’t seen her since she’d left for the hike. Polly’s friends went back to the area they last saw Polly and they began searching for her but were unable to locate anything that pointed in the direction that she may have gone. She was reported missing at 6:00 pm that evening, and a much larger search effort was soon underway. Over the course of that week, over 150 people searched for Polly, as well as nine search dogs. At one point a dog alerted to a tree that was downed, and searchers believe she may have stopped to rest there for a moment. They didn’t pick up on her scent at any other location. Of course, the notion of a kidnapping entered the minds of the searchers, until they realized that Polly was a large woman…(in the way of being nearly 6 feet tall). She was 5’11 and weighed around 180lbs, so I think the idea that someone was able to pick her up and run off with her is laughable. She could have and would have defended herself, at least enough that there would have been some type of evidence left behind. According to her day to day routine, not much out of the ordinary happened on the day Polly went missing. The only thing unusual was that she decided against going to the volunteer job she went to every day, passing out meals to the elderly. The day before that, however, it was reported that she made several phone calls using the work phone. She’d never used the phones in the 4 years that she had been volunteering, law enforcement was unable to trace the phone calls so we don’t know if they were in any way connected to her disappearance. Her pastor did advise that she had been struggling with a bout of depression after her mother had passed away earlier in the year, but it was suspected that she was remotely suicidal. She’d also been prescribed Valium in 1979 as a muscle relaxant but had stopped taking them before 1981. Yet, her husbands bottle of Valium was discovered to be missing after she disappeared, but it’s never been determined that she was the one who took them. Her pastor also mentioned that he thought Polly may have been having an affair with another man at the time. This has also never been substantiated. Probably one of the most intriguing things about this disappearance is that in April 1982, a check was written to Polly Melton and cashed in Birmingham, Alabama. Googling her name actually leads to the obituary of a man who passed away in 2013 who lived in Birmingham. It also listed that he was preceded in death by two sisters. One of which had the name, Thelma Pauline Melton…Strange coincidence? ?… or maybe, just maybe it really was Polly. I know it’s all speculation, but I honestly think that Polly planned to vanish that day. I think she was depressed with the life she had, living with a husband that was sickly and couldn’t join in the activities she enjoyed. She met someone and on the day before she went missing, she arranged everything using the phone at the place she volunteered. That day, she quickened her pace so that she could get in front of and leave her friends behind so that they wouldn’t see where she went. Her lover was waiting for her and she left with him, leaving her old life behind in the mountains she so dearly loved.